Luxair Luxembourg Airlines received its first Boeing 737-200 aircraft 40 years ago. Today, Luxair is going back in time and providing their passengers with a truly unforgettable experience. The American aircraft manufacturer delivered Luxair Luxembourg Airlines its first Boeing 737-200 on 2 December 1977. This is an important date for Luxair, as the airline has continued operating flights in Boeing 737 series aircraft ever since. So, on 2 December 2017, Luxair Luxembourg Airlines decided to mark this anniversary by surprising passengers on flights LG711 and LG712 to and from Tenerife, one of the first destinations to be operated in Boeing 737 aircraft. Passengers travelled back in time, thanks to a carefully prepared exhibition in Luxembourg airport, whilst passengers on-board could admire the uniforms that cabin crew used to wear and share Captain Hubert Descharrières’ experience, the Luxair pilot who delivered the first Boeing 737 to Luxembourg from its Seattle factory in the USA. A video of the event is available here. In 1968, Luxair Luxembourg Airlines created its own Tour Operator entity, LuxairTours, which then went on to become a market leader for all-inclusive package holidays in the Greater Region. The development of this new business model fundamentally changed criteria and requirements. Operating flights to destinations further afield meant that the company needed suitable, increased capacity aircraft with maximum comfort. Thereupon, Luxair Luxembourg Airlines ordered its first jet-propelled aircraft, which has now become an industry standard requirement for long and medium-haul flights. The Caravelles aircraft, the first twin-jet civil aircraft to be mass produced by a French aircraft manufacturer, were then successively replaced at the end of the 70s. The first Boeing 737-200 was delivered by the American aircraft manufacturer to Luxair Luxembourg Airlines on 2 December 1977. This innovative plane, registered as LX-LGH, would then go on to be christened and named “Prince Guillaume” a few days later. LX-LGH was operated by Luxair Luxembourg Airlines up until 3 March 1993, when it was sold to a Russian airline for a few more years of service. It was then definitively immobilised at Sheremetyevo airport, in Moscow, on 15 August 2001. 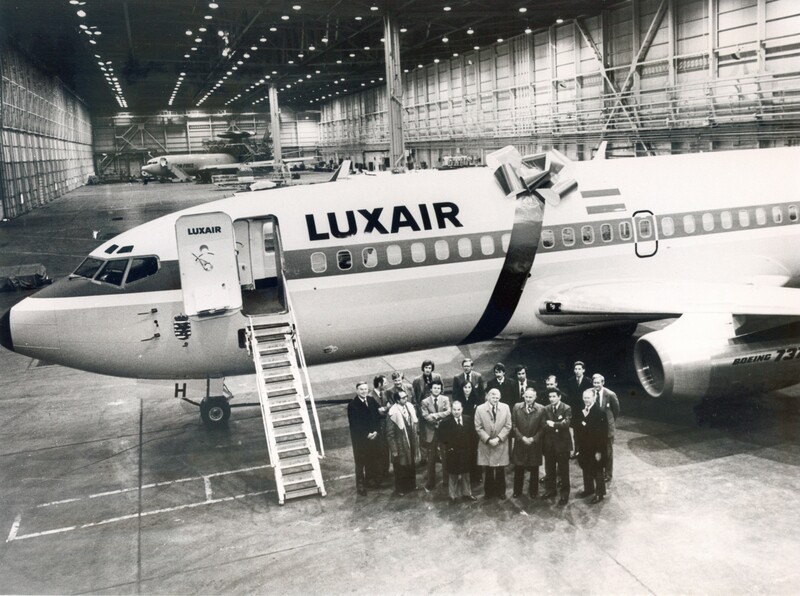 This plane left its mark on history in several ways, because not only was it the first plane of its kind in the Luxair Luxembourg Airlines fleet, but it was the also the first Boeing 737 to be operated by a Russian Airline. Nowadays, some international airlines still operate flights in B737-200, which shows its durability and quality. The B737 is the best-selling jet plane in history with record-breaking sales. LX-LGH, serial number 21443, was the first aircraft to be part of this long-lasting success story. Over the past 40 years, Luxair Luxembourg Airlines has operated flights in various types of Boeing 737 (200, 400, 500 series) and still uses 2 B737-700 and 4 B737-800 latest new generation aircraft with a seat capacity of 141 and 186 seats respectively and a range of 4600 km and 4050 km. The -800 series is the Next Generation’s “best-seller.” These planes are mainly used for LuxairTours beach resorts and destinations further afield. Over the past 40 years, Luxair has always maintained its aircraft to the highest levels of quality, comfort and safety. 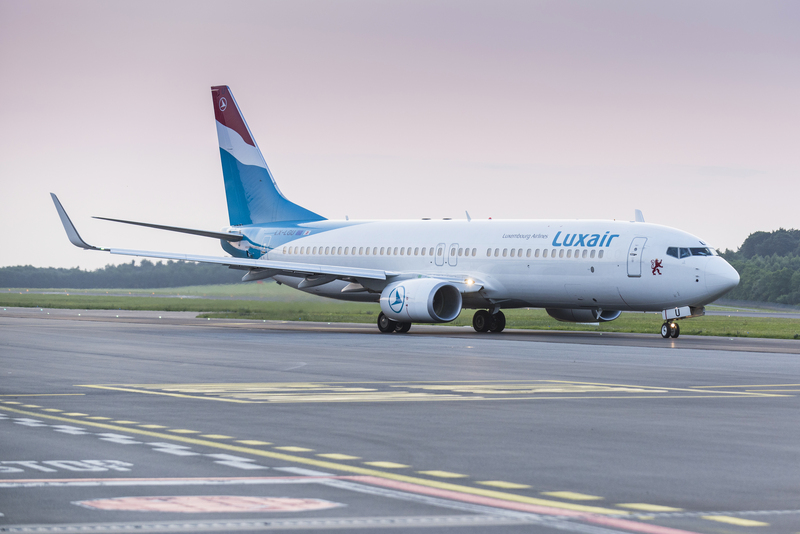 The Boeing Next Generation aircraft operated by Luxair Luxembourg Airlines are some of the best aircraft available on the market at the moment, due to their reliability and cost-effectiveness.